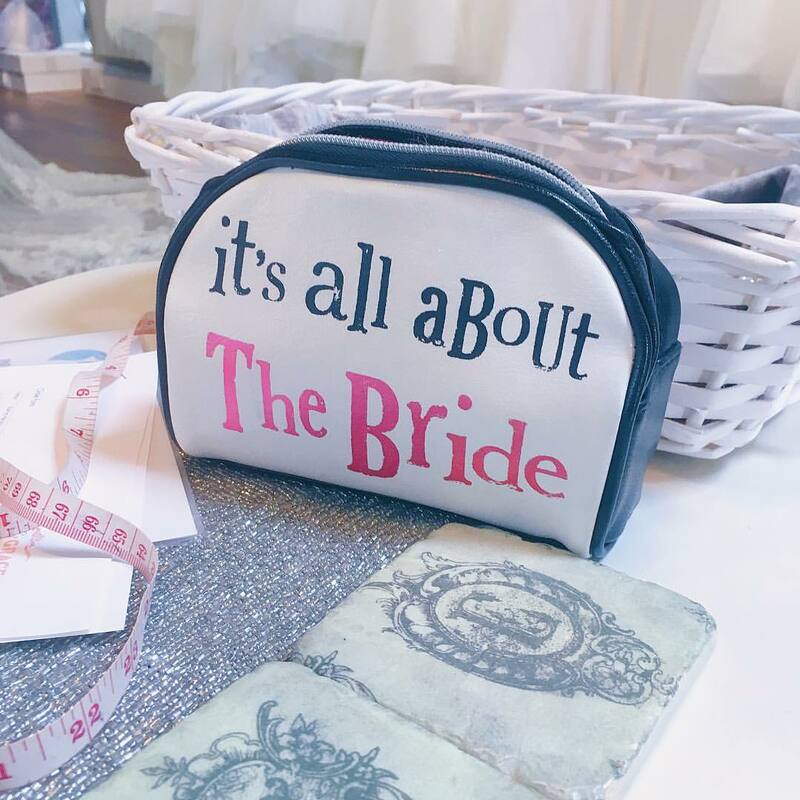 This week I’ve been trying to recover a bit from the craziness of having two weddings within six weeks of each other! Unfortunately, I haven’t managed to have much downtime, as I’ve had a lot of various appointments and engagements, but where I could I’ve tried to just relax a bit more. I seem to be feeling a lot more exhausted at the moment and keep falling asleep, which isn’t much fun. It’s something I’m going to discuss with my GP when I see her next week. Last Sunday I had a fairly long lie-in, which was much needed after a busy few days. I sorted out my medications for the week ahead and then popped down to Waitrose with my Mum to find something I could eat for dinner, as the others were having roast gammon, which I’m not meant to eat. I then did a bit of blogging when I got home. In the afternoon, Richard and Lisa brought Benjie over, as we’re looking after him while they’re away on their honeymoon. 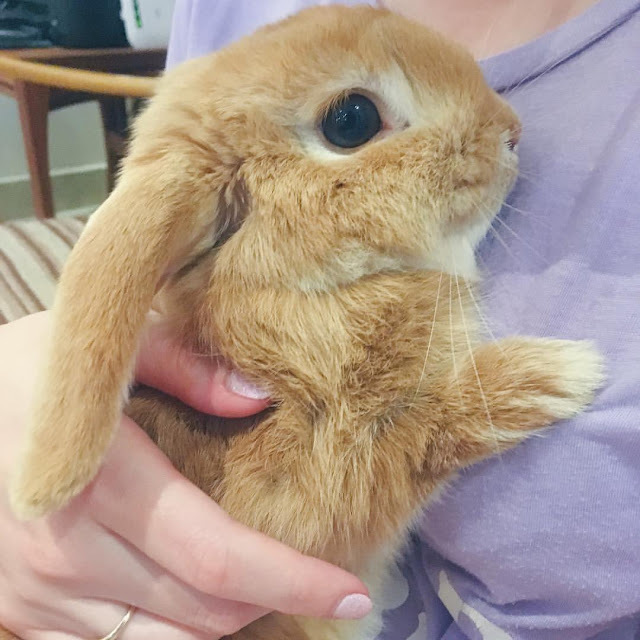 It was the first time I’d met him, so I had a lovely cuddle. 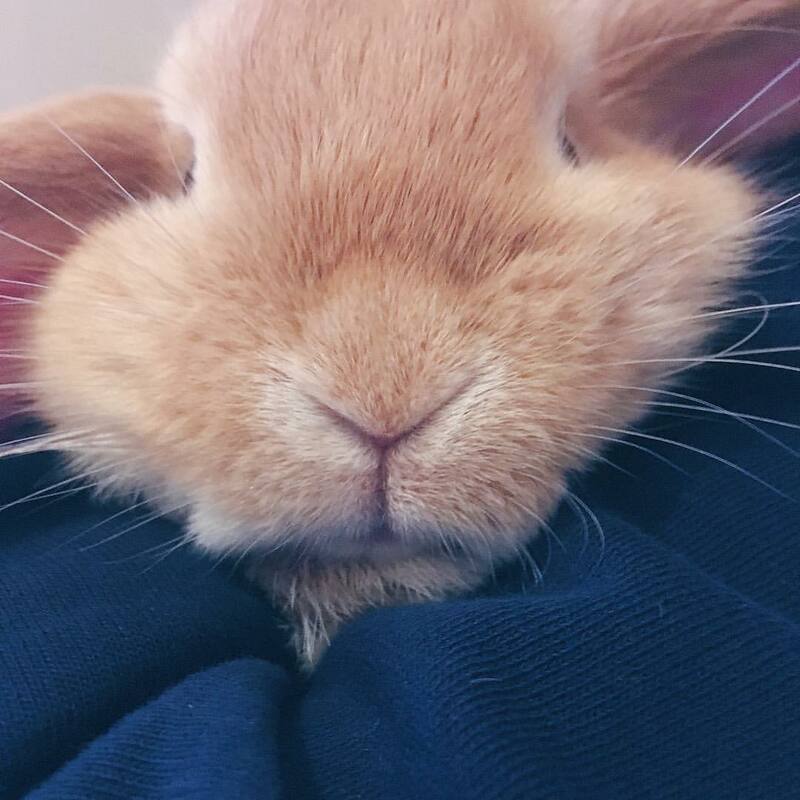 He’s so friendly and cuddly, and licks you when he’s happy, so I ended up with little wet patches on my t-shirt! After they’d gone I watched some YouTube videos and wrote a couple of penpal letters. Unfortunately, on Monday I had a very early start, as my Dad had to take me to the hospital to see my physio for 8.30am. The appointment went well (even if I was still half asleep!) – I updated him on how things are going and we went over my exercises. My Dad and I then went to Costa for some breakfast. 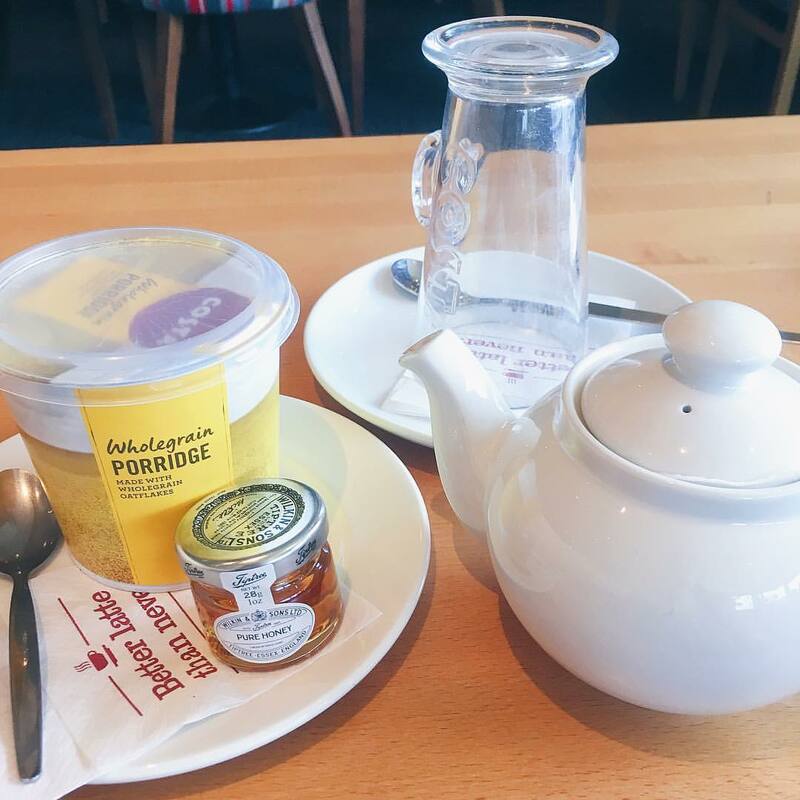 It’s probably not right for my diet, but I do love their porridge! I had hoped to have Nutella with it, but they didn’t have any, so I went with honey. We popped into Homesense, as it was next door, so I could pick up a basket for something I’m putting together. When we got home I put up a quick blog post about the wedding and then did some tidying in my bedroom. After lunch, my Mum and I went over to Tesco to stock up on some essentials, as I haven’t been for ages and was running low on a lot of things. It felt more like autumn with the rain and cold, so when we got back I snuggled up on the sofa with another cup of tea. This month I’m joining in with the Crown and Glory Glitterati 2nd birthday celebrations, which includes a photo challenge on Instagram for the whole of August! I thought I’d share my photos with you in my Sunday Snippets posts. If you want to see everyone else’s, simply search the hashtag #CGGlitteratiTurns2. Day 1 is ‘Introduction’ – So, if you don’t know who I am, I’m Jenny, 27 and from Hampshire. I’m a Journalism student and also write a blog and make YouTube videos. I have a number of chronic illnesses including Ehlers-Danlos Syndrome, so my monthly box of sparkliness definitely brightens my day. 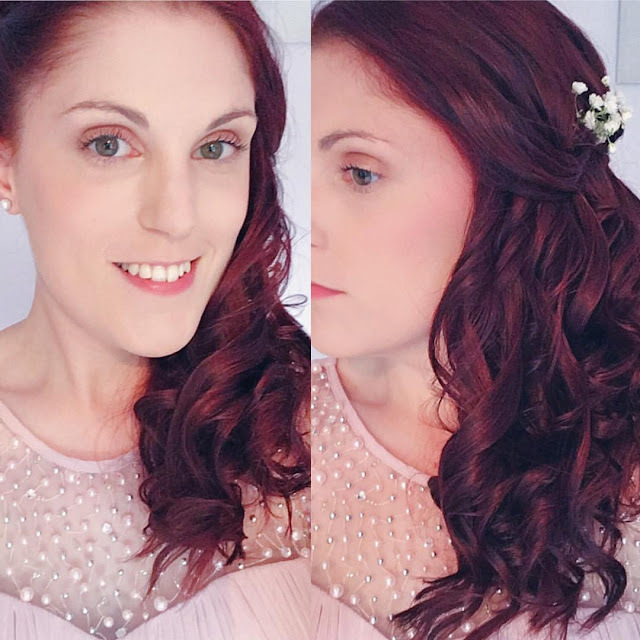 I took this selfie last week when I was a bridesmaid for Richard and Lisa’s wedding. Tuesday morning I woke up not feeling too well, which I think was a mixture of payback after the wedding and having a bit of a bug or something (plus the usual chronic illness stuff!) I rested for a while, and then my Dad took me for an assessment with a private counsellor. I was massively nervous about it and am still pretty anxious about affording it regularly (although they’ve been amazing about it and offered me a reduced rate) but the lady was very nice. In their next meeting they will assign me to a counsellor. My Dad brought me home and I had planned to do a bit of work on my laptop, but ended up falling asleep on the sofa for a few hours. I then had a dentist appointment in the afternoon. It was at a new NHS dental practice rather than the private one I used to go to, and thankfully it went really well so I feel happy about going to them in the future. 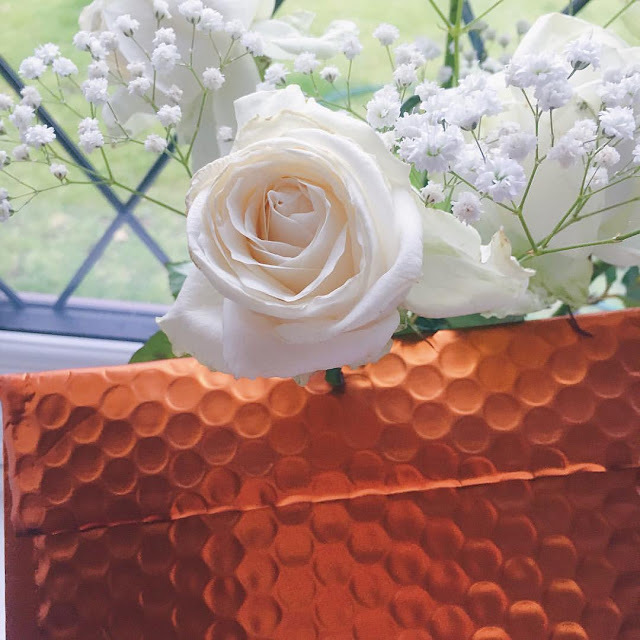 I got this awesome copper/rose gold parcel in the post. I had no idea what it was, but was loving the colour! I really love Benjie’s little nose. It makes me smile every time I see it wiggling as he sniffs. And his little tongue is just the cutest. Day 2 of the August Crown and Glory photo challenge is ‘Favourite’ – I found it very hard to pick just one favourite piece, so instead I thought I’d show you a few! 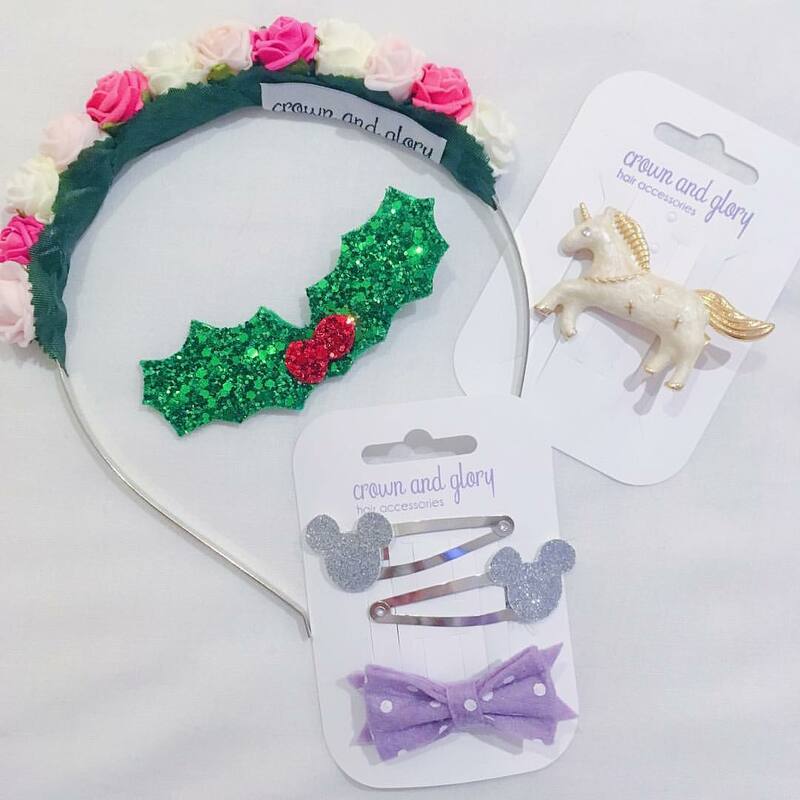 The unicorn and Disney clips are pretty self explanatory, as anyone who knows me will know how much of a Disney fan I am and how much I love unicorns. The pink flower hairband is definitely one of my most-worn pieces, which I absolutely love. And for the last two Christmases I’ve worn my sparkly holly clip – it always makes me feel nice and Christmassy. I had another hospital appointment on Wednesday morning, which my Dad took me to. It was with a lady from the orthopaedic team, as since they assessed me last year my hips have got progressively worse. She was very good and took one look at my hips and said that I need to be managed by a specialist hip surgeon. The lady I saw last year said she thought I had a hip impingement, but this lady believes it’s a lot more than that. My hips are sitting in the wrong place, sublax and dislocate regularly and are also affecting my knees, ankles and spine. I had some x-rays and she will refer me to the hip surgeon to discuss future tests and treatments. My Dad then dropped me off at my friend Helen’s, so I could have a catch up with her and see her girls and my lovely Godson, Jack. It was really nice to just relax with a cuppa, chat and spent time with the kids. When I got home I rested, as I was feeling really drained. 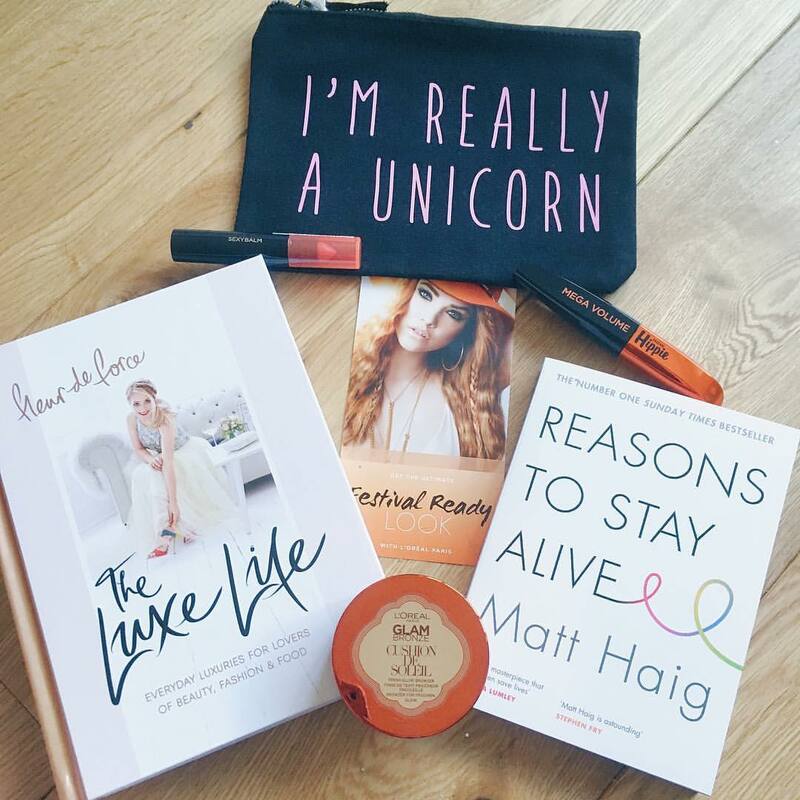 I also opened some post – a couple of books I ordered, a lovely make-up bag from my friend, Molly, and some make-up that L’Oreal sent me. 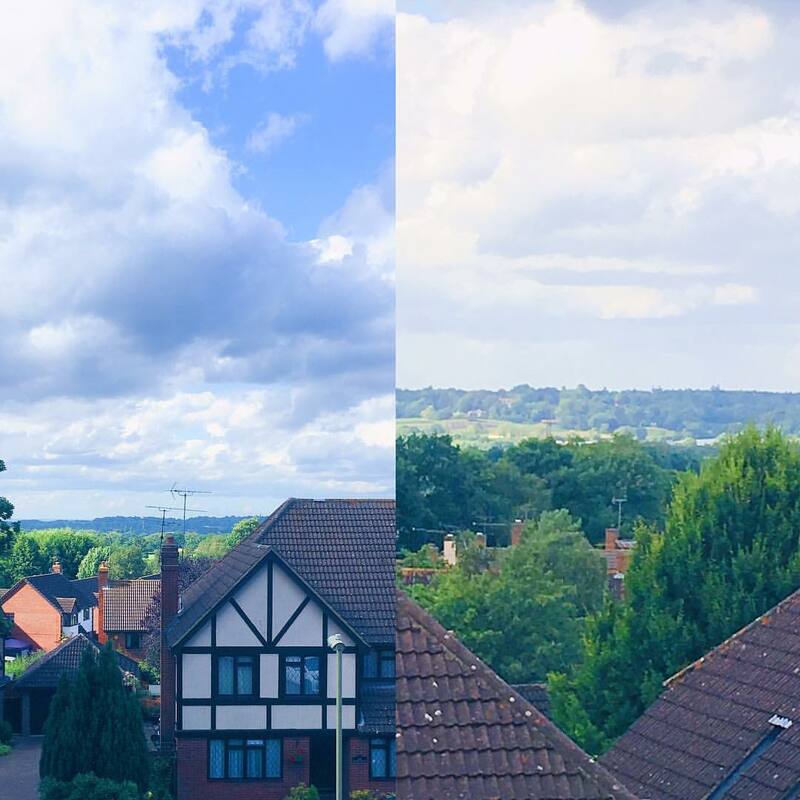 Day 3 of the August Crown and Glory photo challenge is ‘Neighbourhood’ – These are the views from our loft conversion windows. I’m very lucky to live in a quiet village in Hampshire with lots of green spaces. When I was younger I used to hate living somewhere so quiet and ‘boring’ but now I love how peaceful and beautiful my surroundings are. On Thursday I had a fairly quiet morning, but I did hear from the secretary at Stanmore. She’d spoken to Dr Cohen and they will accept my referral to the EDS Clinic, which is great news after trying for so long. I will be put on the waiting list then when I get towards the top will make an appointment for my initial consultation. I’ve been trying for over a year to be seen there and it’s been incredibly mentally draining, so fingers crossed this is a step in the right direction. Around lunchtime, Emma came round and we had some lunch together. 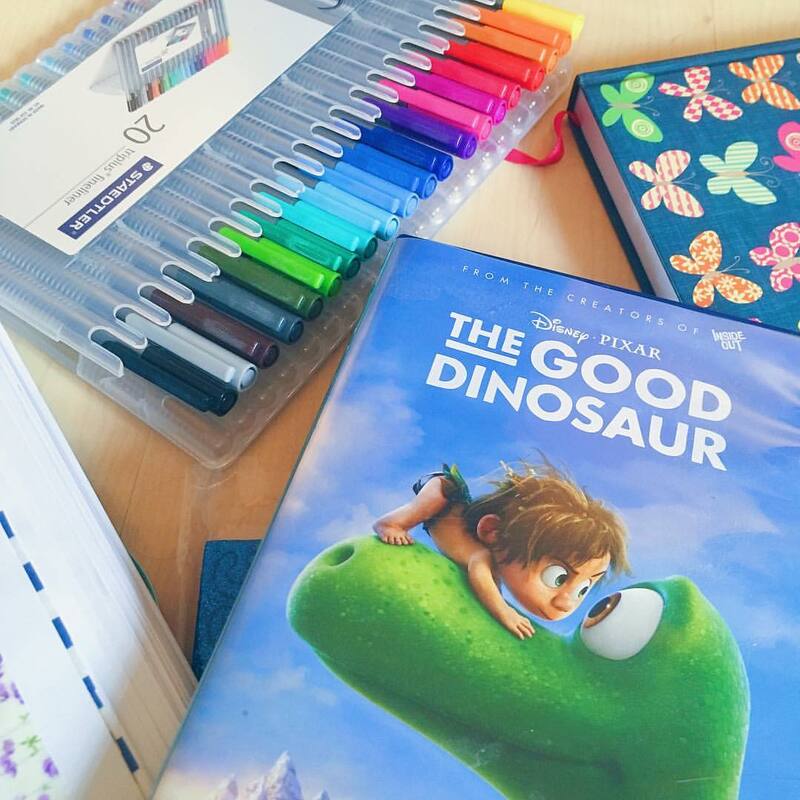 We then spent the afternoon with my sister, Bekkah, watching The Good Dinosaur (which was awesome!) 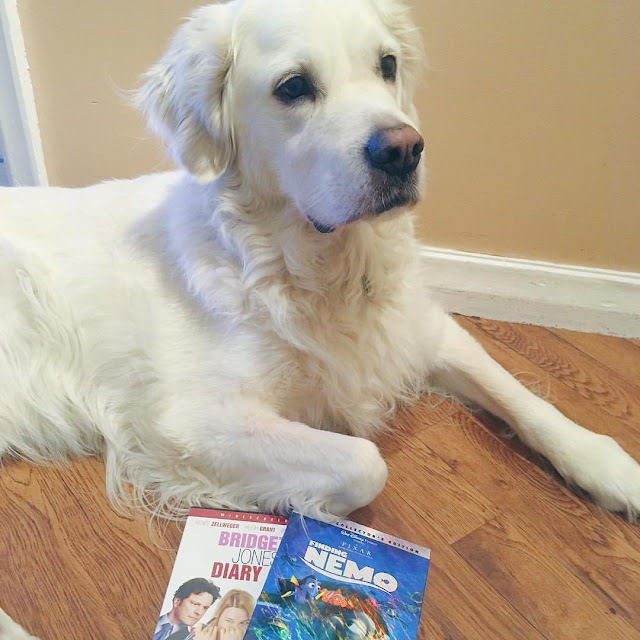 and 101 Dalmatians. I also tried to do some more art journaling. I’m nowhere near as good as some of my very talented friends, but I had fun doing it nonetheless. While we were watching the DVDs, Jaffa was curled up next to us on the chair. I love his little face so much, and when he leaves his tongue poking out but mistake he just looks adorable. 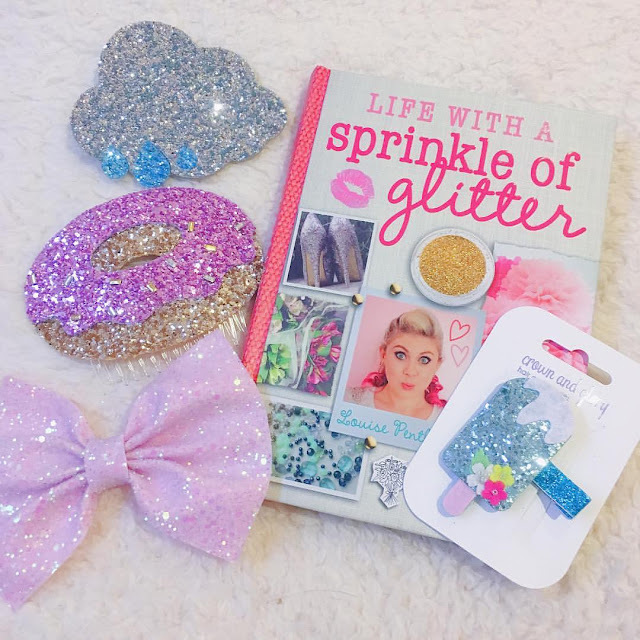 Day 4 of the August Crown and Glory photo challenge is ‘Sprinkle of Glitter’ – I couldn’t possibly do this challenge without including Louise Pentland aka Sprinkle of Glitter’s book! She’s all about the glitter after all! I have also included a few of my glittery Crown and Glory pieces too – I can’t resist a bit of sparkle! I got up fairly late on Friday and just had a quiet morning, which was nice as life just seems to have been so crazy recently. I managed to take some photos for future blog posts, but didn’t get the blogging done that I’d hoped to do. I guess I just needed some time to take things slowly. After lunch I was going to try and make my way through my blog e-mails, but I ended up falling asleep on the sofa for quite a while, which I was really frustrated about. I did manage to get through a few e-mails when I woke up, which was something I guess. At around 5pm, my friend Katrina, and her Mum, picked me up and we went down to Winchester for Katrina’s wedding dress fitting, which was very exciting. After the fitting we went to Wagamama’s for dinner and a catch up. 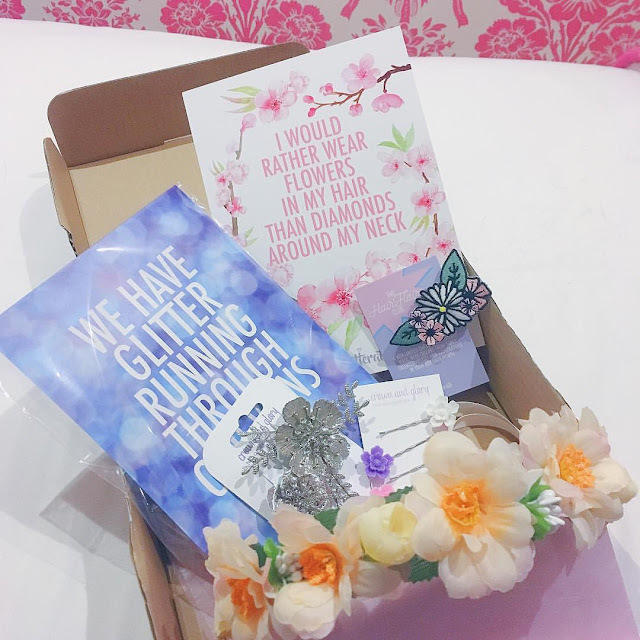 This month’s second anniversary Crown and Glory Glitterati box is gorgeous. It includes so many pretty things and I’m loving the new look of some of the bits inside! 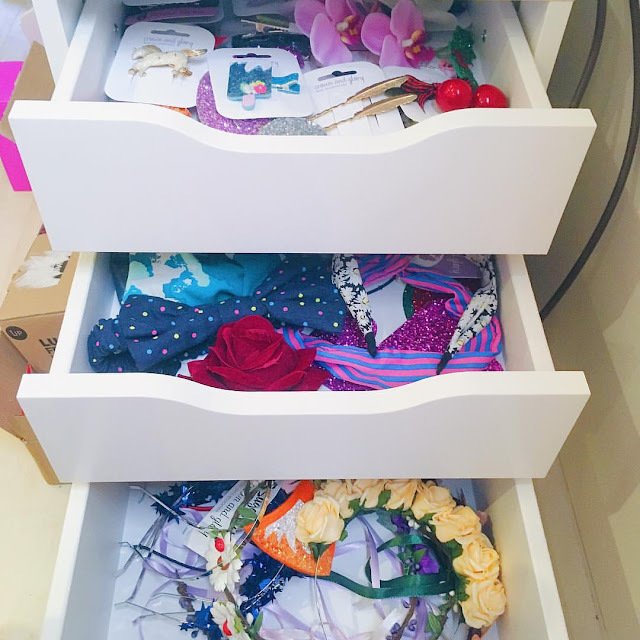 Day 5 of the August Crown and Glory photo challenge is ‘Show us your stash’ – I keep my pieces in this set of IKEA drawers. Top drawer is small items like bobby pins and clips, second drawer is for slightly larger pieces and then the third drawer is for my flower crowns, ears etc. I’d love to be able to display some of them, but at the moment that isn’t possible in the space I have. Saturday morning I woke up again feeling really shattered. This fatigue is really flooring me. I managed to do a bit of tidying in my room during the morning – I’m trying to do little bits here and there in the hope it will start to make a difference. My friend, Becky, came round at about lunchtime, so we had some lunch together. We then chilled out on the sofa and watched Bridget Jones’ Diary. I haven’t watched it in ages! After she’d gone, I snuggled up with Alfie and watched Finding Nemo. I really want to go and see Finding Dory soon if I can find someone to go with. 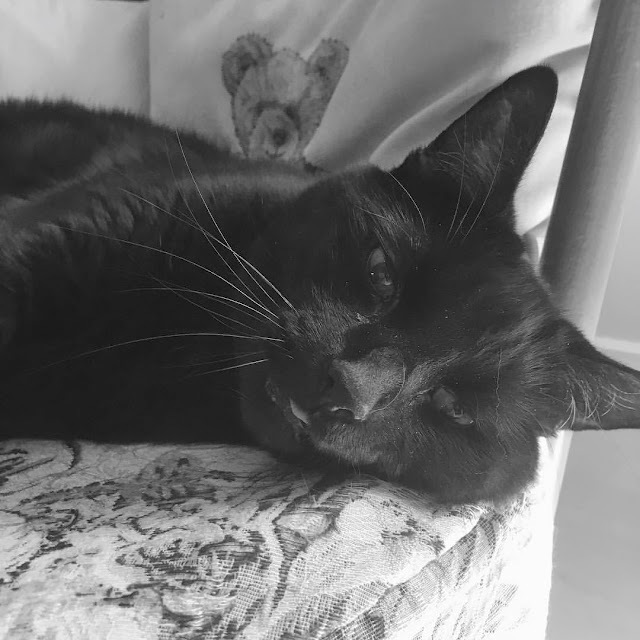 It was also Alfie’s 7th birthday! I can’t believe he’s been part of our family for almost seven years now. He gives the greatest hugs and is such a good natured, loving dog. 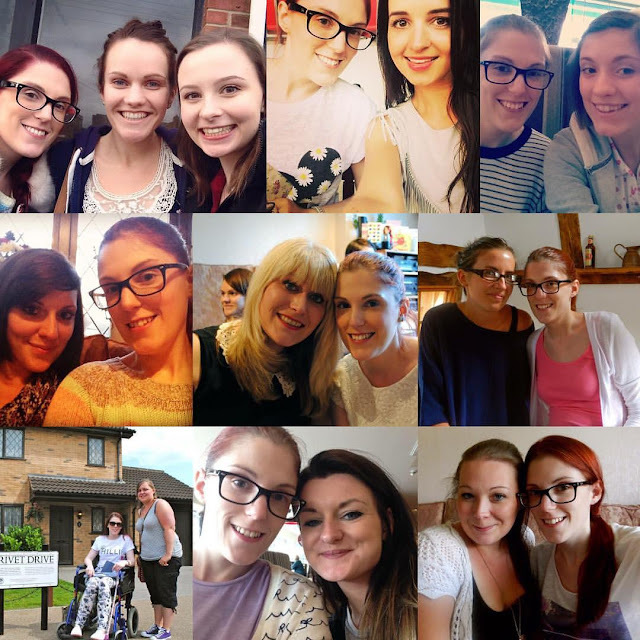 Day 6 of the August Crown and Glory photo challenge is ‘BFFS’ – I couldn’t pick just one friend photo, so I’ve done a big old collage of a few of my gorgeous friends instead. I would be lost without these beautiful people holding me up when times get hard and joining in with the fun times along the way. I couldn’t possibly fit in everyone who is special to me though, so this is just a small selection. I’ve introduced Crown and Glory to quite a few friends now, and it’s lovely to see them enjoying the glittery-ness as well.